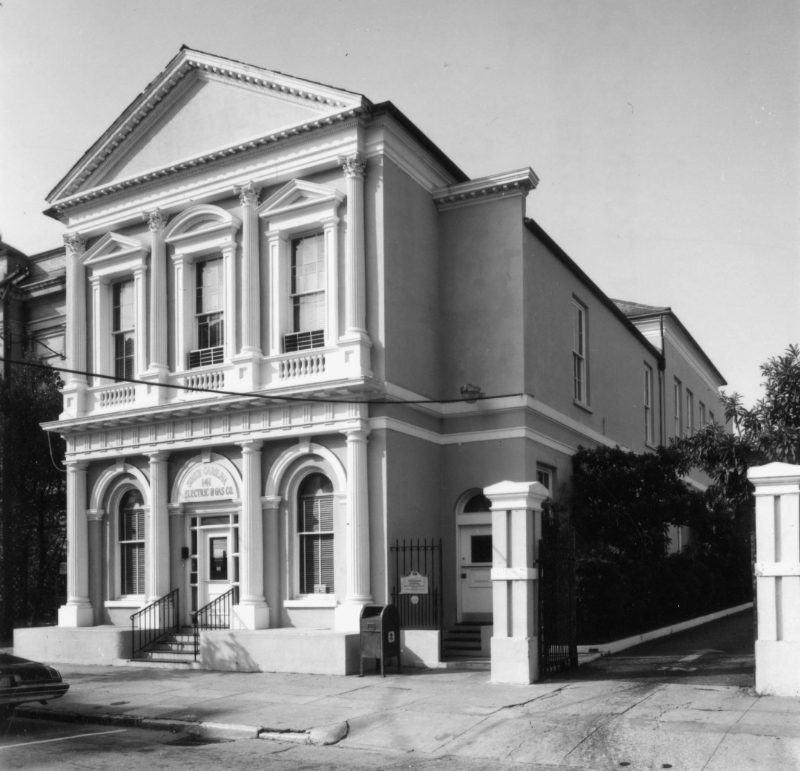 Today I’d like to introduce you to the Akin Foundling Hospital, a short-lived and long-forgotten municipal institution that was once located on the west side of Meeting Street in downtown Charleston. Established in 1843 at the bequest of Miss Eliza Akin, the building was intended as a refuge for abandoned infants, but the condition of the physical structure hampered its mission. As part of a continuing series on the Akin Hospital, today we’ll survey the City of Charleston’s management of the institution and look for its ashes after the great fire of December 1861. Last week I introduced the lesser-known Akin family of Charleston, who first appeared in the records of the South Carolina Lowcountry in the 1690s. Over four successive generations, the family acquired a large amount of real estate and exploited enslaved laborers to generate a substantial amount of wealth. By the end of the eighteenth century, however, the Akin family tree in South Carolina had diminished to just a trio of siblings—James, Eliza, and Thomas—who inherited a substantially reduced family fortune. Both Eliza and Thomas (born in 1772 and 1776 respectively) remained in Charleston and never married, but James (born ca. 1773), a talented artist, settled in Philadelphia and started a family of his own. When Dr. Thomas Akin died in 1841, he left the family’s colonial-era townhouse on the west side of Meeting Street, nearly opposite to the Circular Congregational Church, to his spinster sister, Eliza. In her last will and testament, dated March 12th, 1842, Eliza Akin devised that property to the City Council of Charleston, on condition that the city use the house as a hospital for the reception of poor infant foundlings. With her death on April 6th, 1842, just three weeks shy of her seventieth birthday, the family line of the lesser-known Akin family of Charleston came to a quiet end. City Council immediately concurred in the report, and the city formally took possession of the property sometime in the autumn of 1842. Nine months after accepting the bequest, in June of 1843, Alderman William H. Inglesby submitted “a bill to establish a Foundling Hospital, under the benevolent devise lately made for that purpose.” Following the usual series of readings and revisions, the bill was engrossed and ratified on August 22nd, 1843, as “An Ordinance to establish a Foundling Hospital under the benevolent devise lately made for that purpose.” In order to disseminate public knowledge of the new institution, the city published the full text of the ordinance in Charleston’s daily newspapers for a period of about eighteen months. In a relatively brief series of paragraphs, the ordinance of 1843 laid out the city’s plan for the creation and perpetual maintenance of an institution, “to be called and known as the Akin Hospital, for the reception and maintenance of Foundlings, within the parishes of St. Philip and St. Michael, in this State.” It established a board of commissioners, to consist of the mayor and four aldermen chosen by City Council, who would be responsible “for the direction and management of the said Hospital.” In a succinct statement reflecting the paternalism and prejudice inherent in the culture of that era, the ordinance charged the commissioners with the duty “to receive into the said Hospital, in the said tenement, such white infant foundlings as may be deemed proper objects of admission by the Commissioners, to be maintained and educated therein, until they shall arrive at the age for admission into the Orphan House, under the regulations of that institution.” To accomplish this goal, the ordinance directed the commissioners to “engage the services of such assistants and nurses for the said Hospital, as they may from time to time deem sufficient.” The expenses associated with such services were to be “defrayed from the income of such parts of the said tenement and lot as may not be immediately occupied for the purposes of the Hospital.” The commissioners were required “to certify and present” quarterly accounts of the income and expenses associated with this institution to City Council, and were prohibited from engaging in “any expenses beyond the income of the property” without the prior consent of City Council. Regardless of the building’s internal divisions and its rental arrangements, the surviving records make one fact very clear: The Akin property on Meeting Street, built sometime around the middle of the eighteenth century, was in a poor state of repair by the 1840s. In June of 1847, the “keeper” of the Akin Hospital reported to City Council “the decayed and absolute [sic] untenantable condition of the premises.” Mayor Thomas Hutchinson, one of the institution’s trustees, ordered repairs be made “to the roof and floors of the hospital and out buildings, to the brick facing of the chimneys, and to the gate.” In May 1849, the chairman of the commissioners of the Charleston Orphan House refused to send a foundling to the Akin home, and informed his colleagues that “the condition of the hospital to be such, that the child could not be properly attended there.” Short of undertaking extensive and expensive repairs to the building, the situation required some change in policy. After considering the matter, the trustees of the Orphan House requested their chairman “to make some arrangement with the mayor, to have the child put upon the Akin Hospital (Foundling) Fund.” In other words, they suggested that the city needed to out-source its care for infant foundlings. In October 1849, at which time the Akin property on Meeting Street was appraised at $5,000, Charleston’s City Council directed its attorney to “enquire into the utility of transferring the bequest of the late Miss Aiken [sic] to the trustees of the Roper Hospital Fund [an 1845 private bequest to the city], for the purpose of more effectually carrying out the charitable intentions of the donor.” Their intention was not to dissolve the institution or to abandon Eliza Akin’s benevolent idea, but rather to find a more practical solution for its implementation. If the city’s original plan was to reserve one half of the Akin house for the reception of foundlings, the surviving records suggest that the city abandoned this plan by the end of 1849. Throughout the 1850s, the City Council ordered and paid for various repairs to the Akin Hospital property on several occasions, but the income from its rental appears to have been applied to the care of foundlings who resided elsewhere. Between 1851 and the end of 1861, the family of C. Y. Richardson (1814–1871), an English-born locksmith, appear to have been the principal occupants of the old wooden house on the west side of Meeting Street. Rather than transferring the specific Akin Hospital fund to the more general Roper Hospital fund at this time, the city apparently chose to hire private nurses to care for the infant foundlings at their own respective homes. Unfortunately, the documents related to such antebellum transactions are among the many lost records of the city of Charleston, so we will never know the precise details of this business. 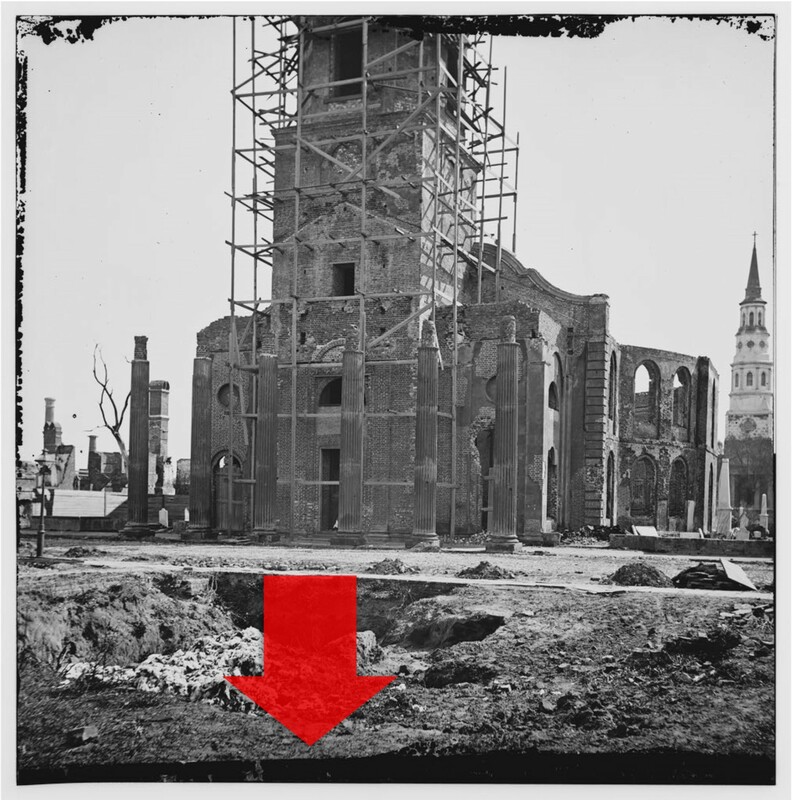 On the night of December 11th, 1861, a massive fire swept across Charleston. Starting from the corner of East Bay and Hasell Streets, the conflagration burned a broad, diagonal swath across the peninsula as it moved southwestwardly towards the west end of Tradd Street. Right in the middle of that path was the Akin house on the west side of Meeting Street, nearly opposite the Circular Congregational Church. According to the 1861 Census of the City of Charleston, the “city property” at No. 89 Meeting Street in Ward 4 was still occupied by the family of C. Y. Richardson, who probably scrambled to remove their possessions from the old wooden building before it was reduced to a pile of ashes. Thirteen months after the fire, in January 1863, Charleston’s City Council resolved to sell the Akin property on Meeting Street, and instructed the city attorney to initiate the necessary legal process. 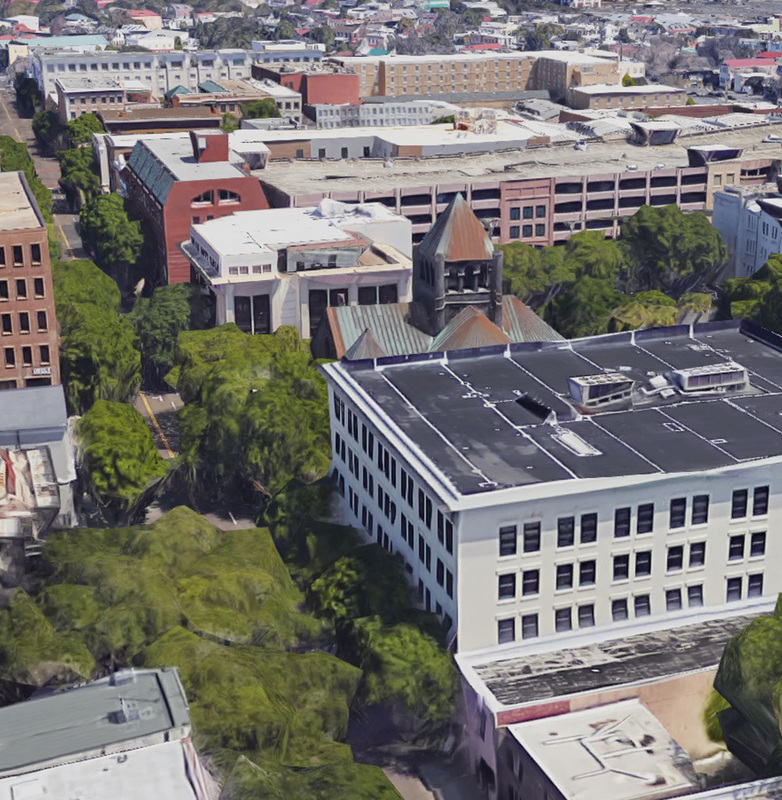 In the spring of 1864, as the city was being bombarded by Union artillery, the city sold the Akin lot at auction to Charleston merchant Edward Lafitte for $37,000 in Confederate currency. 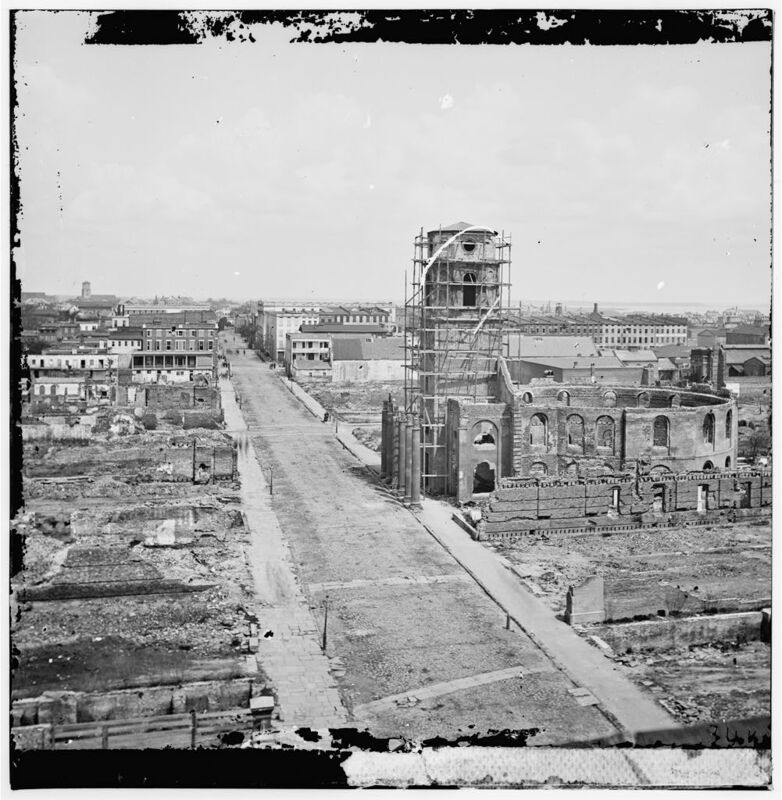 Although the details of the building’s contents and its appearance are lost, we are somewhat fortunate that Union photographers captured images of this location during the spring of 1865. The site of the Akin Foundling Hospital is almost directly opposite the southernmost column of the portico of the Circular Church on the east side of Meeting Street. 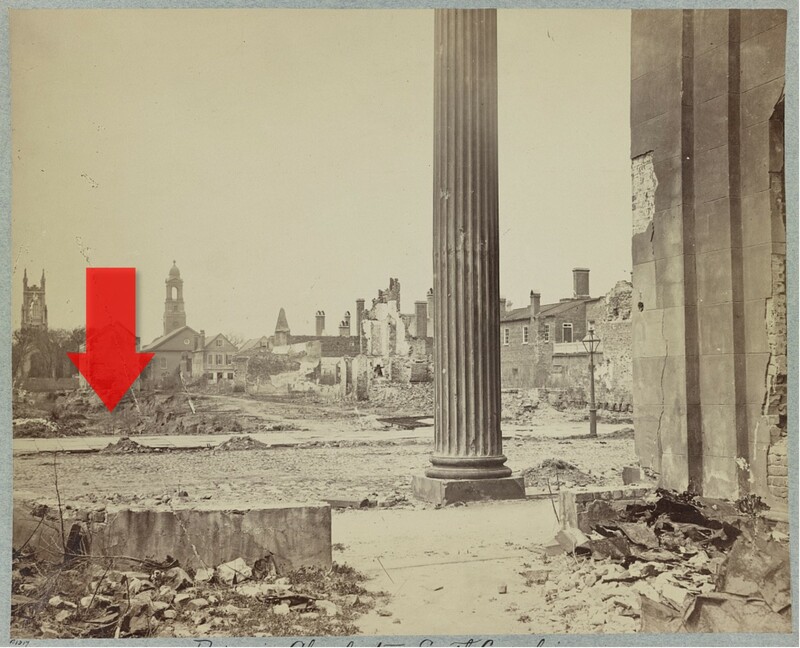 What was once a colonial-era wooden home, and later a tenement dedicated to the support of infant foundlings, appeared as a vacant crater to the Union soldiers who entered Charleston in the aftermath of the Civil War. After the war, in the early 1870s, the City of Charleston quietly dissolved the Akin Hospital trust fund, but the details of this process are suspiciously difficult to trace. Around the same time, Edward Lafitte sold the former Akin property to the Charleston Gas Light Company for $3,500 in U.S. currency. In the late 1870s, the gas company erected on this vacant lot a handsome, two-story, brick office building, which is now known as No. 141 Meeting Street. The Charleston Gas Light Company, which later evolved into a much larger company called South Carolina Electric and Gas (SCE&G), maintained offices in that building for more than 130 years, until 2015. In an effort to streamline its operations, SCE&G put its historic office building on the market in 2017, and, as of October 2018, the former site of the Akin Foundling Hospital is still for sale. In today’s episode, I’ve focused on the physical fabric of the Akin Hospital, and you might have noticed that I haven’t mentioned any details about that institution’s real mission—the reception of foundlings. The surviving documentary evidence of the city’s benevolent care and feeding of infant foundlings is quite sparse, but I’ve uncovered a few important details worthy of a separate and more sensitive conversation. In an upcoming episode, we’ll talk about the very small number of infants who actually found refuge in the Akin Hospital, explore the lawsuit that sought to undermine the new institution, and witness how the prejudice and injustice inherent in Charleston during the era of slavery extended even to the youngest and most vulnerable members of our community. Eliza’s funeral at St. Philip’s Church was announced in Charleston Courier, 6 April 1842. According to the church’s manuscript burial register, 1823-1940, Eliza Akin died on 6 April, aged 69 years, 11 months, and 10 days (thus born in late April 1772). She was buried at the church. See the proceedings of the City Council meeting of 31 May in [Charleston] Southern Patriot, 2 June 1842. See the proceedings of the City Council meeting of 29 August in [Charleston] Southern Patriot, 31 August 1842. See the proceedings of the City Council meetings of 20 June 1843 (in Charleston Courier, 22 June 1843); 14 August 1843 (in Courier, 16 August 1843); and 22 August 1843 (in Courier, 24 August 1843). The text of this ordinance first appeared in Charleston Courier, 24 August 1843, and in subsequent issues through February 1845. It can also be found in George B. Eckhard, comp. A Digest of the Ordinances of the City Council of Charleston, from the Year 1783 to October 1844. To Which Are Annexed the Acts of the Legislature Which Relate Exclusively to the City of Charleston (Charleston, S.C.: Walker & Burke, 1844), 121. See the proceedings of the City Council meeting of 7 August 1849 in Charleston Courier, 9 August 1849. The city’s annual reports of its income and expenditures, routinely printed in the local newspapers in September or October during the antebellum era, contain figures relative to the Akin Hospital, but these reports offer no details beyond stating monetary sums. See the proceedings of the City Council meetings of 29 June 1847 (in Courier, 1 July 1847) and 12 July 1847 (in Courier, 14 July 1847). The city published a request for bids for this work on 24 July (see Southern Patriot, 24 July 1847). CCPL, Records of the Commissioners of the Charleston Orphan House, minutes of 31 May 1849. See the proceedings of the City Council meeting of 9 October 1849 in Charleston Courier, 11 October 1849. The value of the property is included in a copy of an official “schedule of real estate owned by the City, October, 1849,” published in in Charleston Courier, 23 November 1849. See the proceedings of City Council meetings of 16 September 1851 (in Charleston Courier, 17 September 1851); 30 September 1851 (in Courier, 3 October 1851); 15 October 1852 (in Courier, 18 October 1852); 17 January 1860 (in Courier, 19 January 1860); 31 January 1860 (in Courier, 4 February 1860). Frederick A. Ford, Census of the City of Charleston, South Carolina, For the Year 1861 (Charleston, S.C.: Evans and Cogswell, 1861), 143. See the proceedings of the City Council meeting of 20 January in Charleston Courier, 24 January 1863. The text of the resolution reads as follows: “Resolved, That in the opinion of this Council the property known as the Akin Foundling Hospital be sold, and that the matter be referred to the City Attorney to apply to the Court for permission and authority of this body to make titles to the purchase [sic].” I have not yet found the precise details of the sale; the sale to Lafitte was mentioned by Mayor William A. Courtenay in City Council of Charleston, Year Book, 1880 (Charleston, S.C.: by the City Council, 1881), 59. The conveyance from Lafitte to Charleston Gas Light Company is mentioned in, Year Book, 1880, 59.